"Since resuming guitar playing last year I've been taking lessons from Rod, and my experience has been outstanding. Rod's ability to adapt his teaching to different types of students works very well for me. He has struck the right mix of theory with playing, and his breadth of experience and knowledge has made him able to steer me in whatever direction I want to go, be it blues, rock, folk, or bluegrass. I've greatly enjoyed my lessons with Rod, and will continue to seek out his help as I continue to grow as a player." Music is my passion, my only vocation. I am offering Portland guitar lessons that are fun, affordable, and customized to each individual. I am an experienced and exceptional guitar teacher and voice teacher. 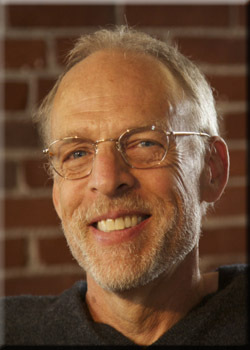 If you are looking for guitar lessons in Portland, I would like to meet you. Please schedule an introductory half hour lesson at no cost. I have been a teacher since 1994 and have taught private lessons full-time since 2004. Many of my students have been with me from the age of 7 or 8 until they left Portland for university. 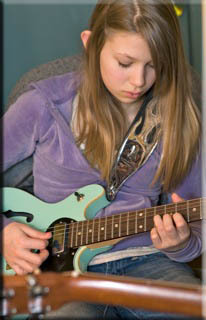 I can help people of any age, beginner to advanced, play any style of music with grace and confidence. My own early struggles with learning music have made me a better teacher: I started by teaching myself, but could only go so far alone; I later learned from gifted musicians, but some of them weren’t the best teachers. These experiences taught me that to learn well you need clearly explained small steps that are carefully matched to your ability. You also want to study the type of music that is most interesting to you. I am passionate about conveying a love of music, and I’ll teach any style of music that you like presented in easily understood steps. In addition to teaching practical guitar techniques, I am a singer and I can show you how to better use the guitar as accompaniment with your vocals. I can teach you how to create vocal harmonies and vocal arrangements if that is your goal. I also welcome students of any age who want to become songwriters and performing musicians. Students can learn to write and orchestrate multiple parts, record at my studio on digital multi-track recording software, process sound, add effects, and create final mixes for high quality demos. I am fluent with Studio One software and GarageBand.